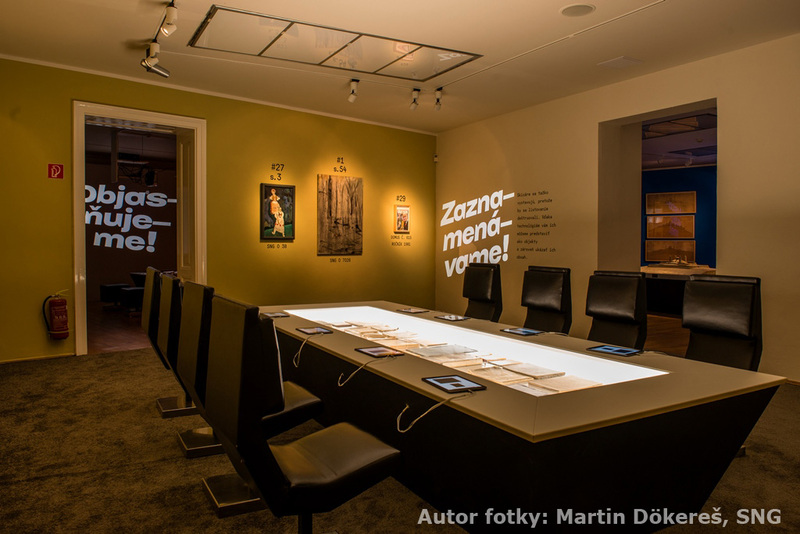 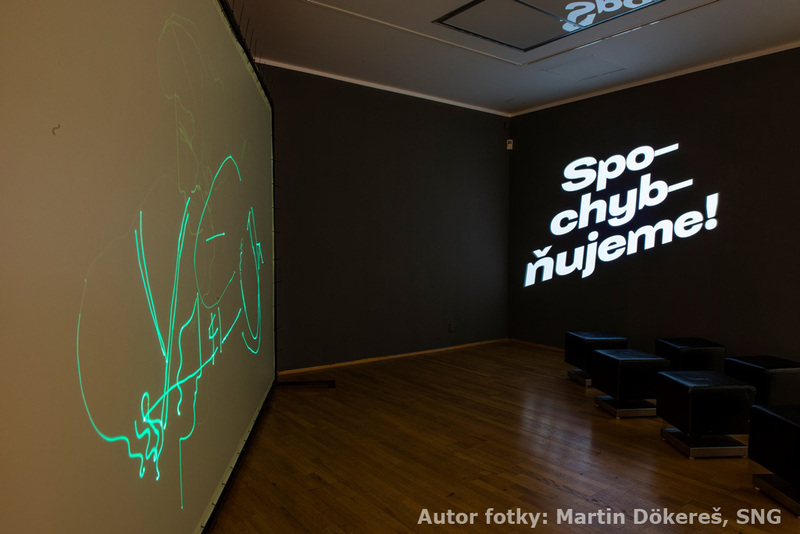 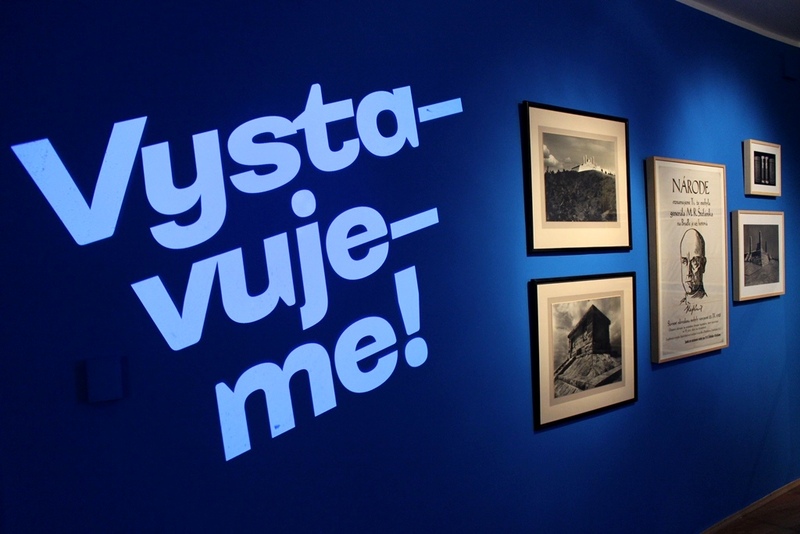 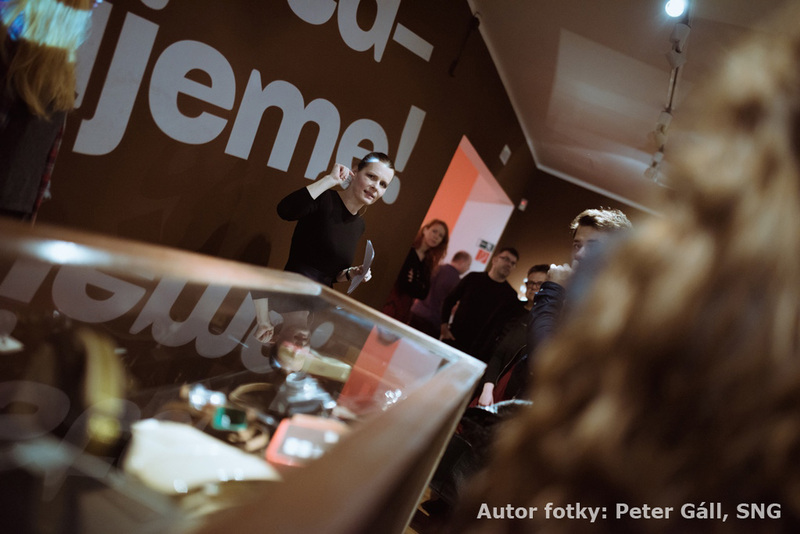 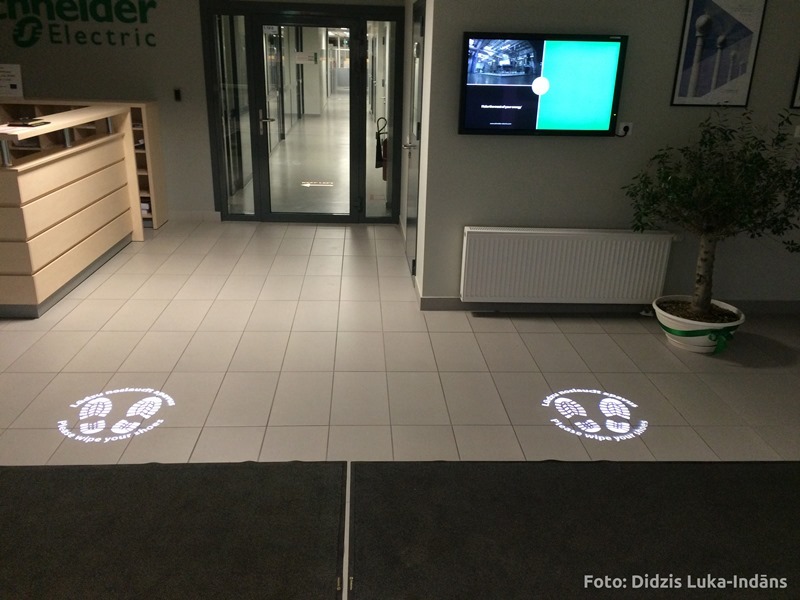 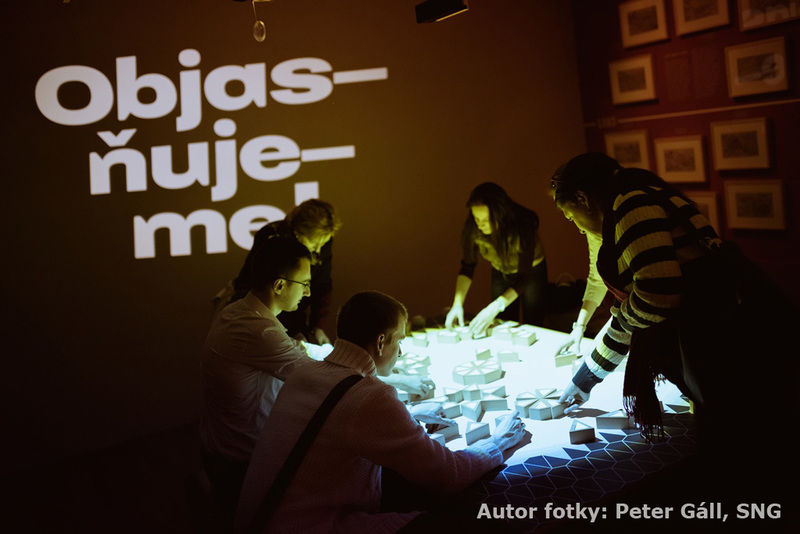 Gobo-projector.eu - News. 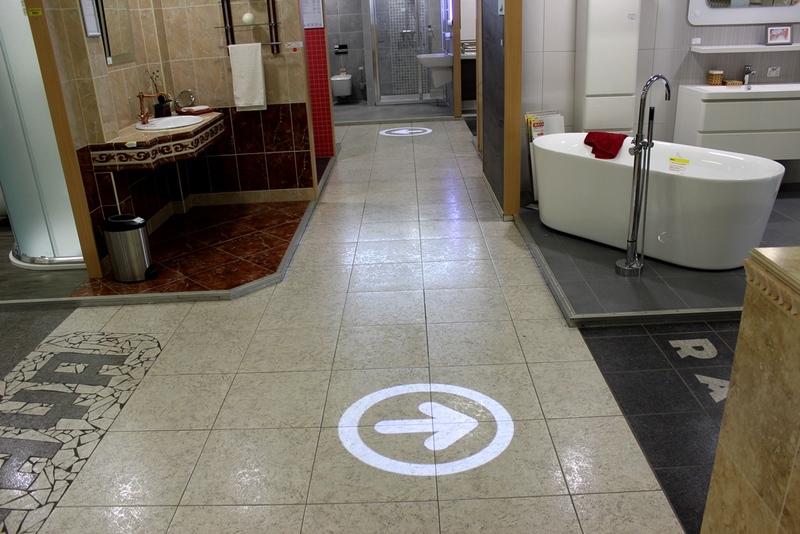 Navigation and safety signs. 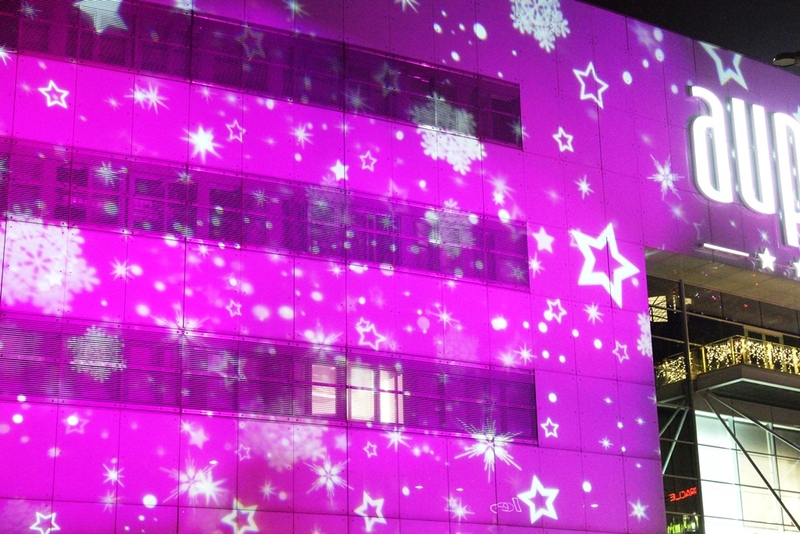 Christmas projection with PROIETTA projectors. 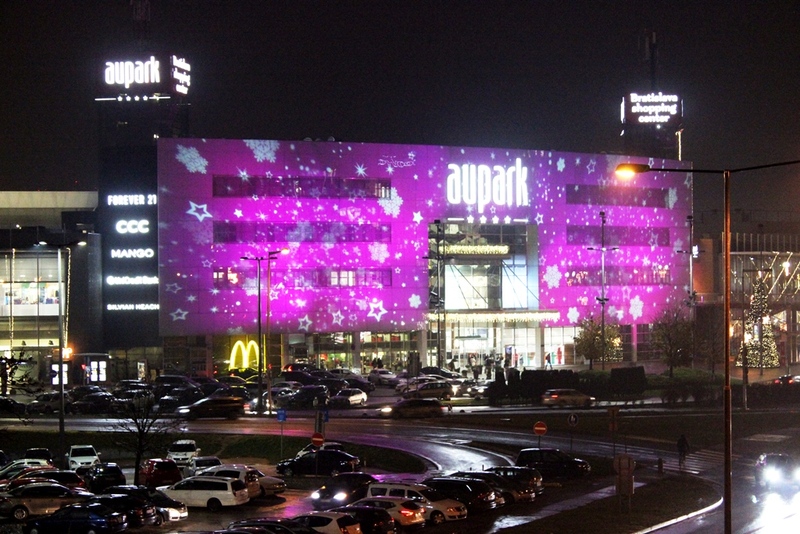 ​Large scale christmas projection with dynamic effect of falling stars and snow on the building fascade of shopping centre AUPARK Bratislava. 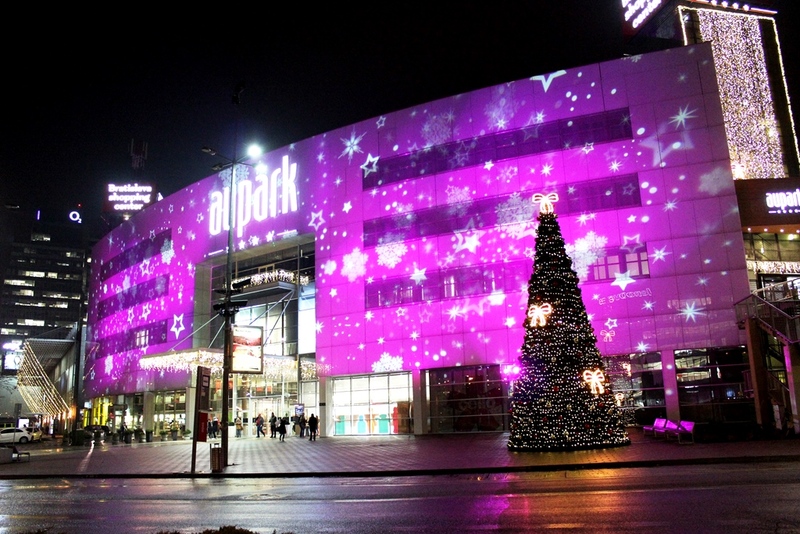 The projection is the main part of outdoor christmas lighting during 2016 christmas season. 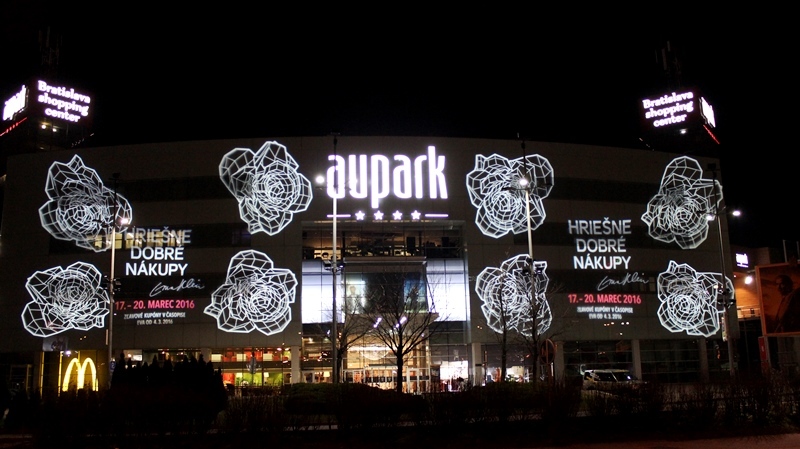 AUPARK Bratislava Christmas projection 2016 from Marlox Gobo Projekcia on Vimeo. 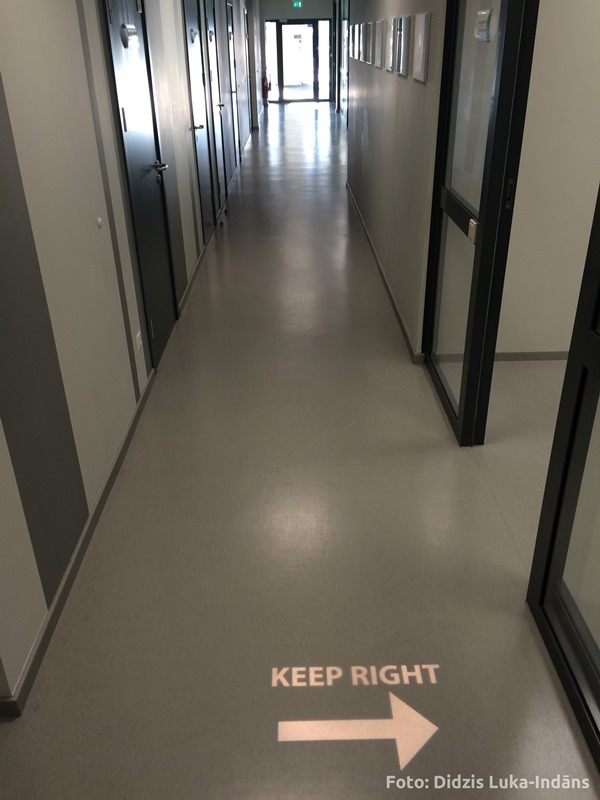 Navigation marks on the floor. 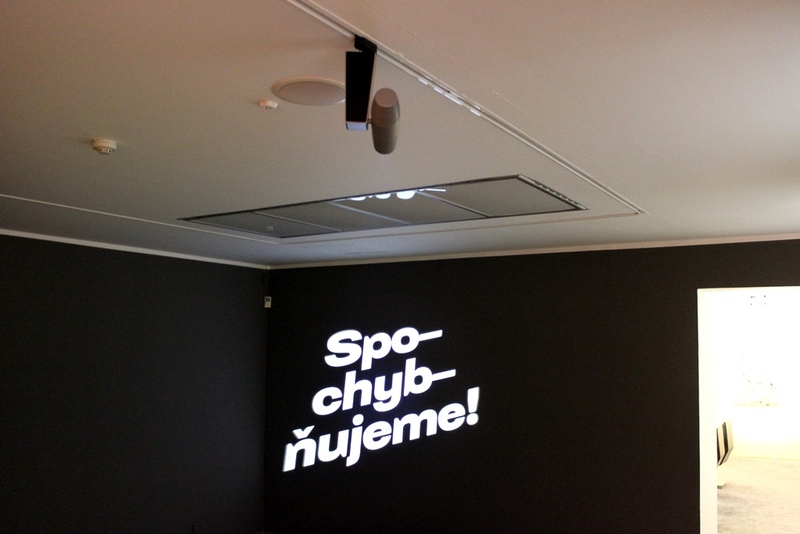 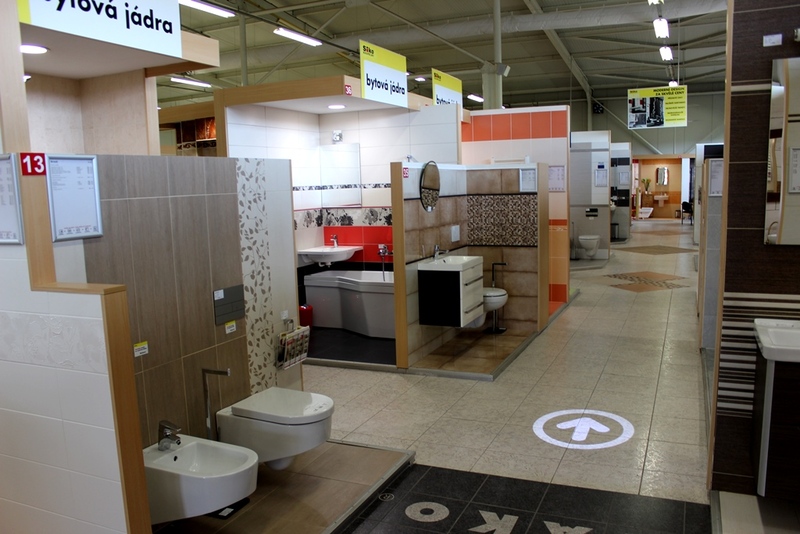 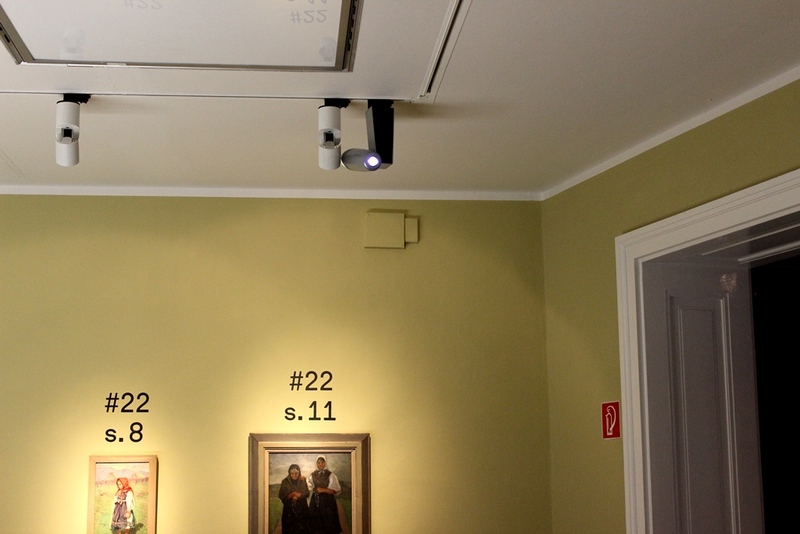 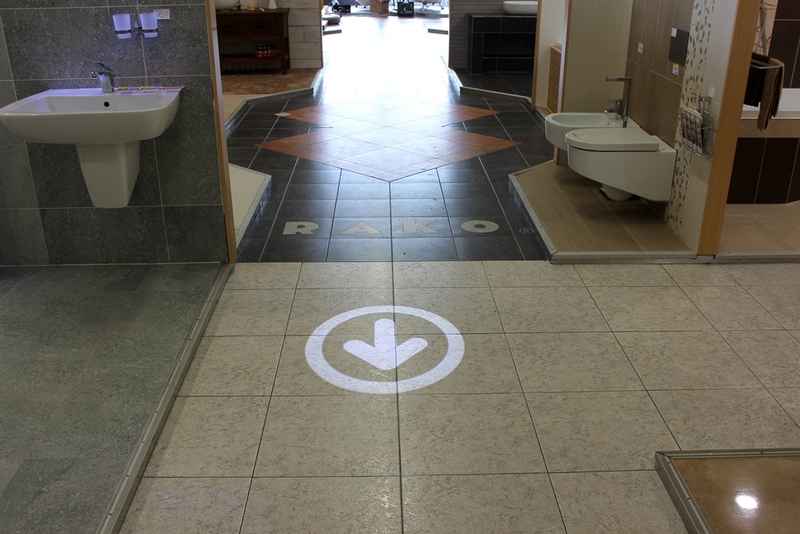 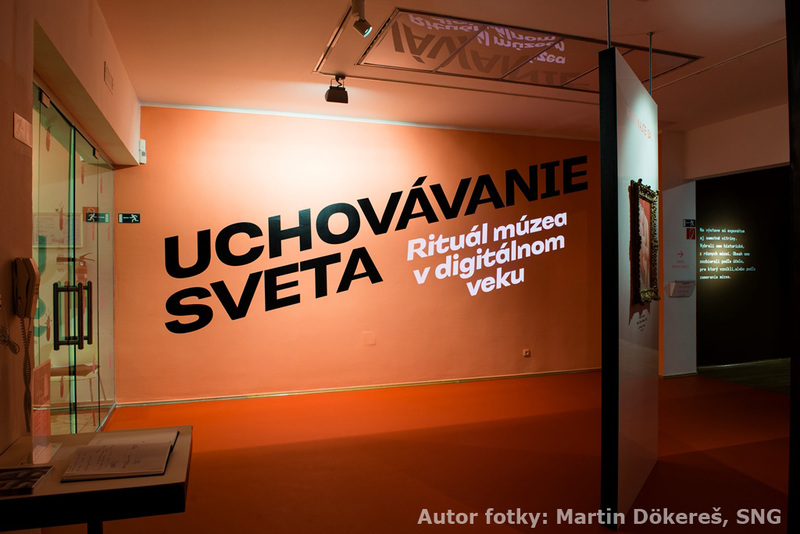 For our customer, SIKO Bathrooms Czech Republic, we supplied and installed the projectors that project light arrows on the floor in the showroom. 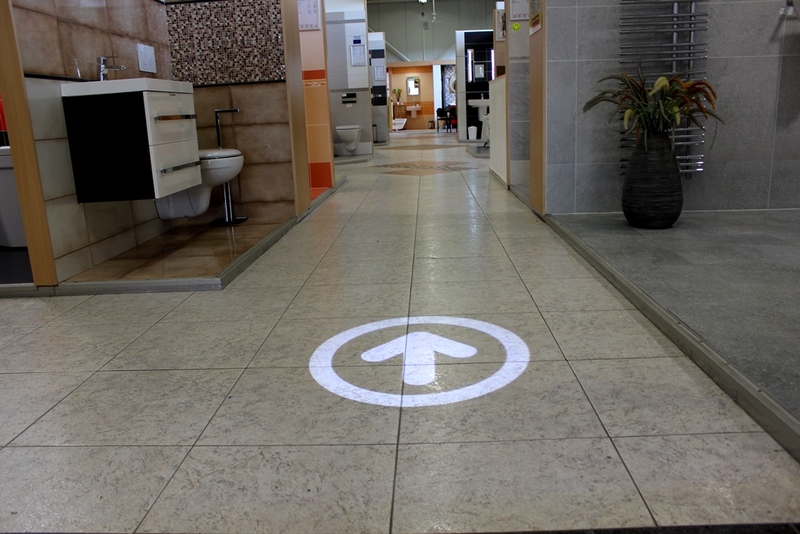 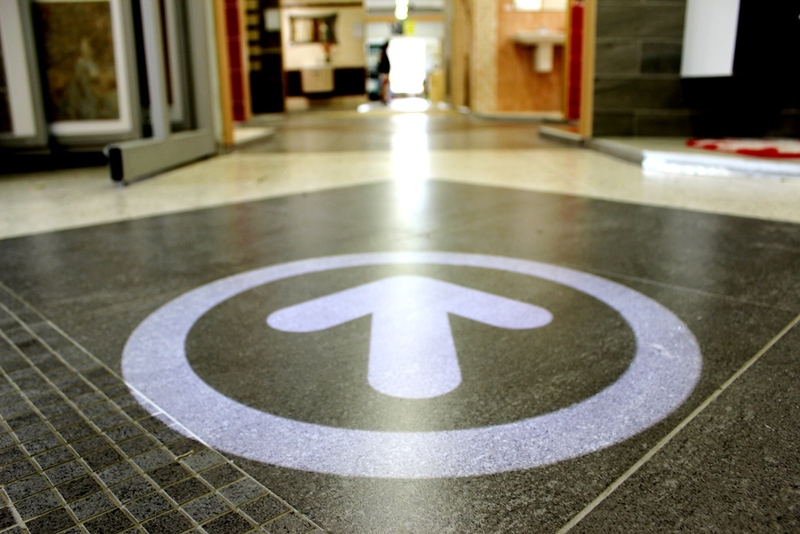 The arrows on the floor navigate the shop customers in the direction of showroom. 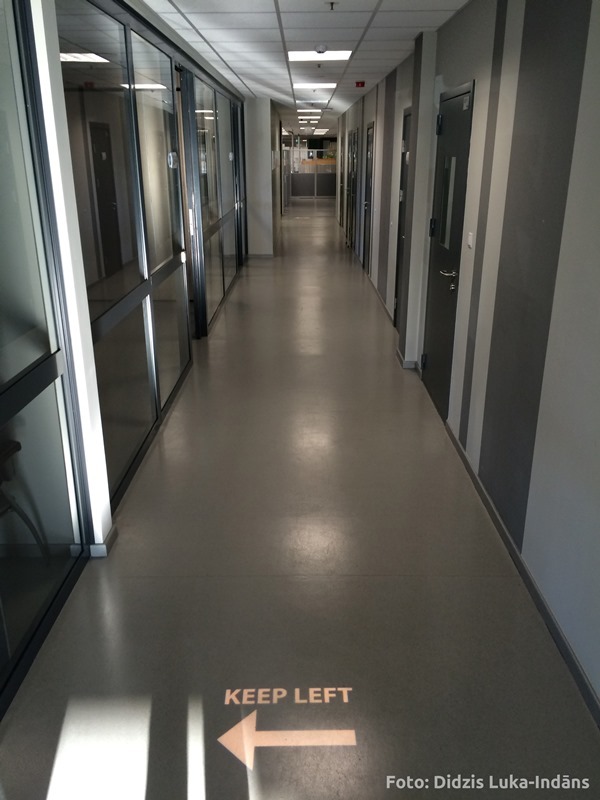 Internal navigation through the projector is clear, it does not wear off, and it is easy to move. 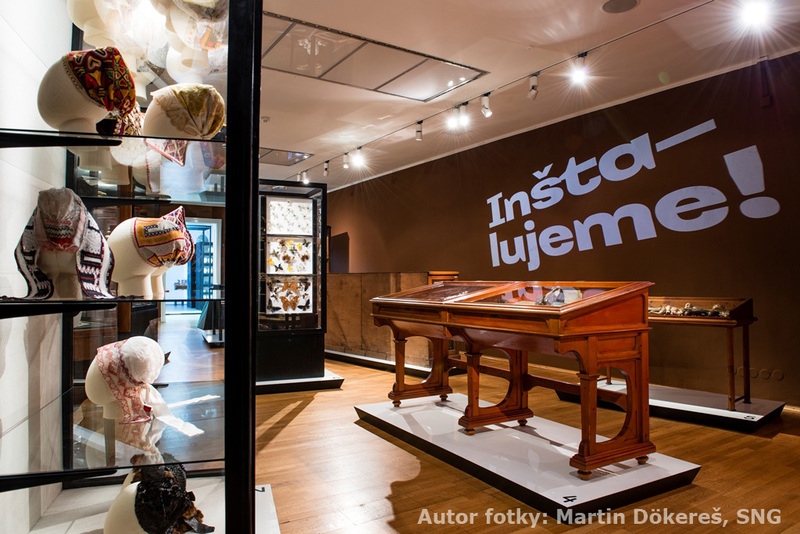 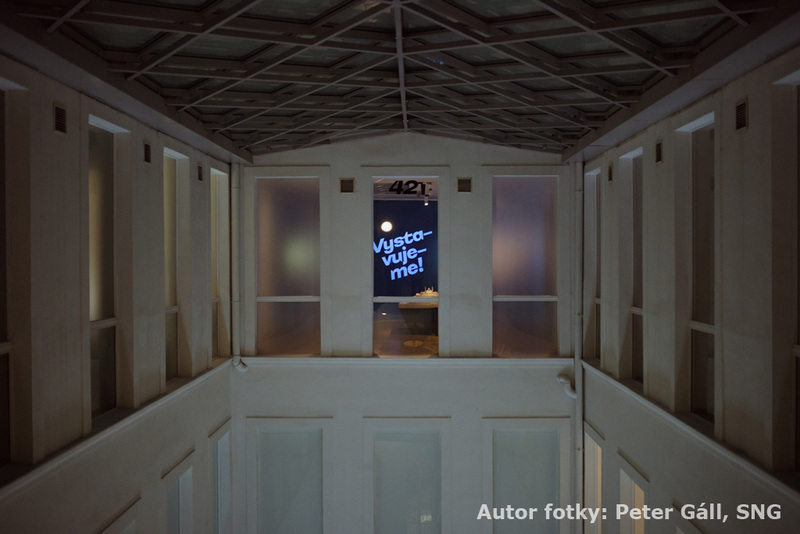 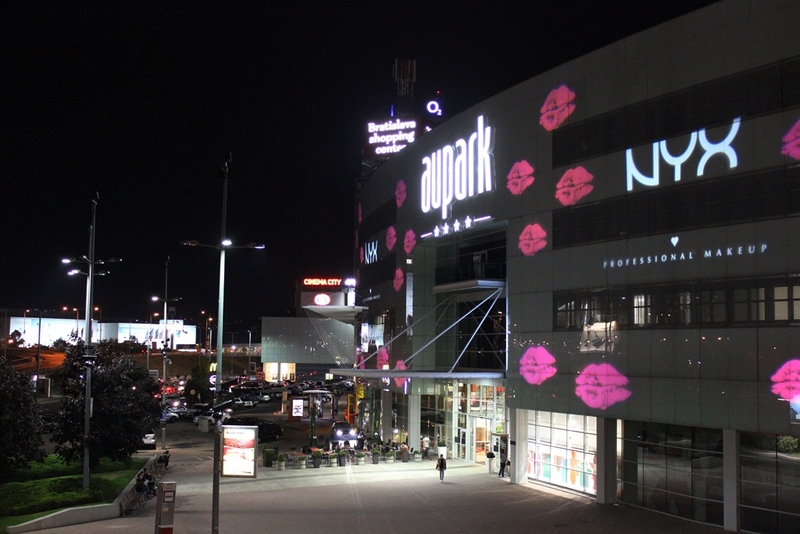 Light projection on the building facade of the shopping center AUAPRK informs the visitors about the actual "tasty" exhibition of MAOR ZABAR hats. 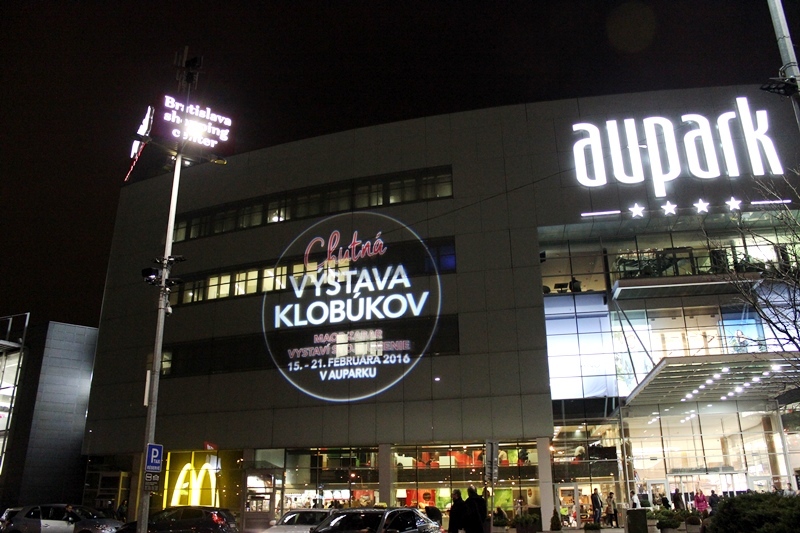 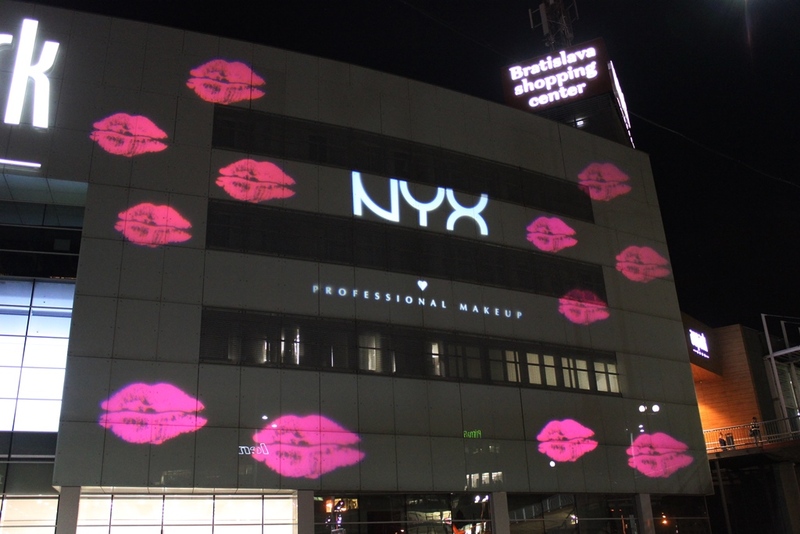 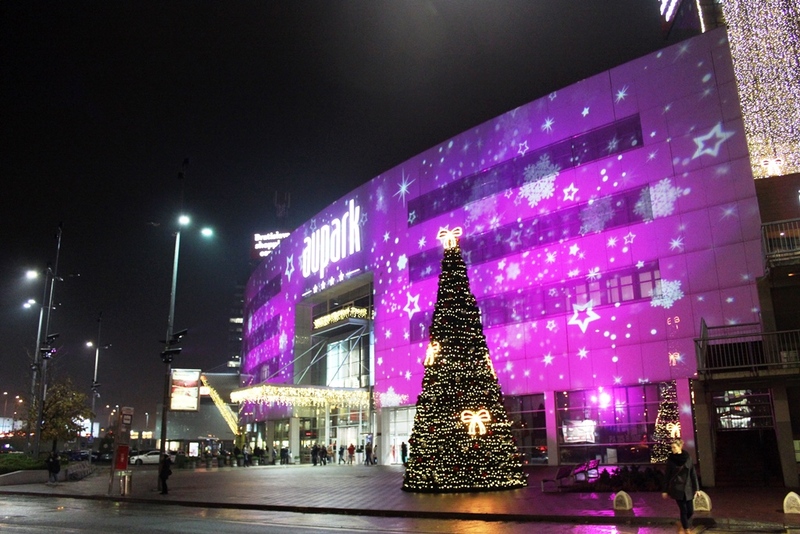 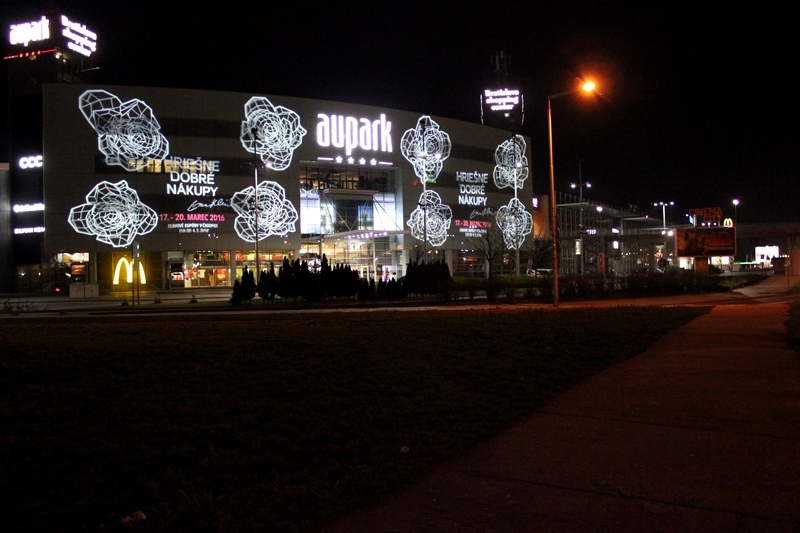 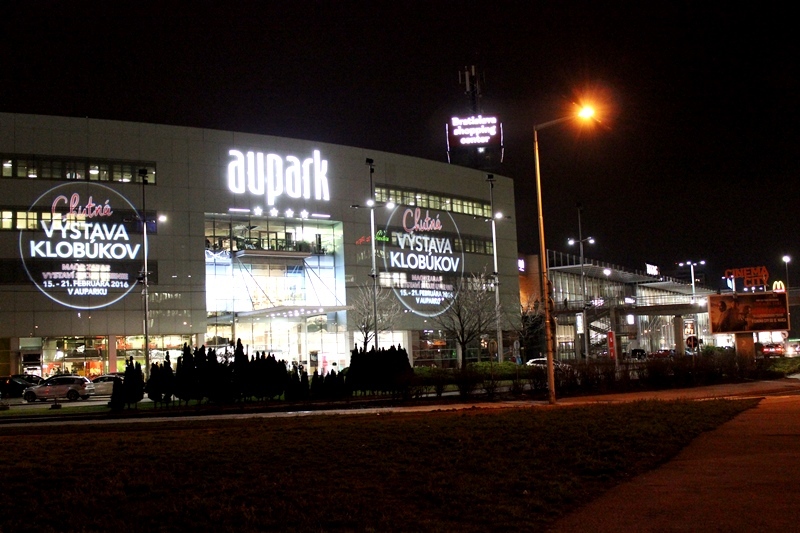 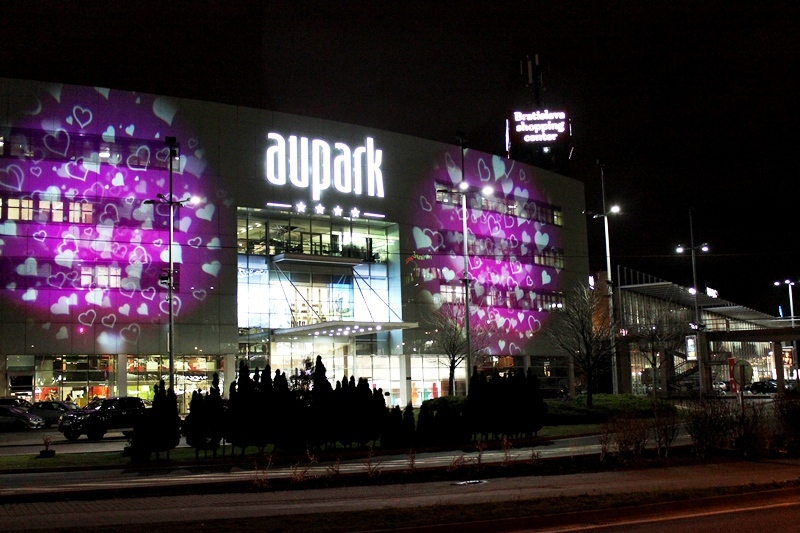 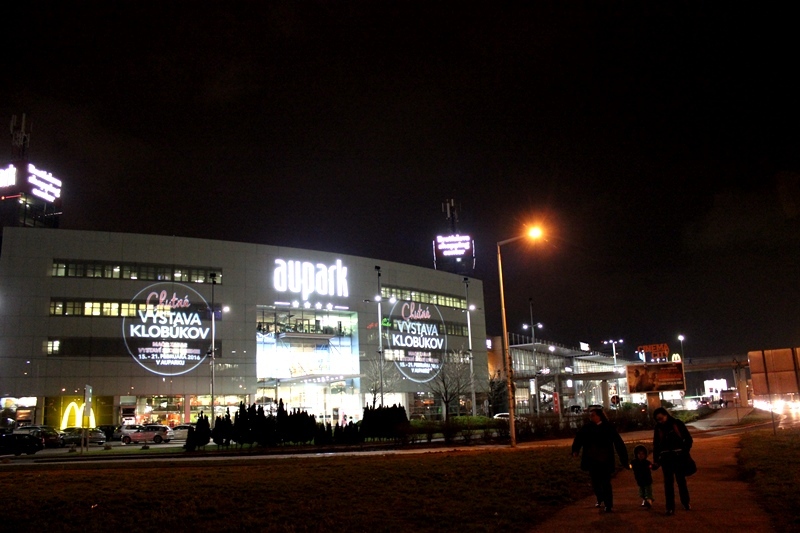 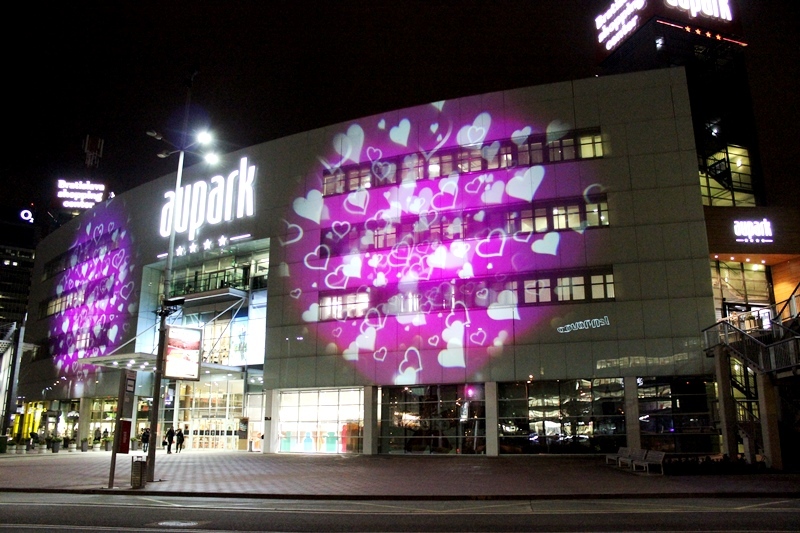 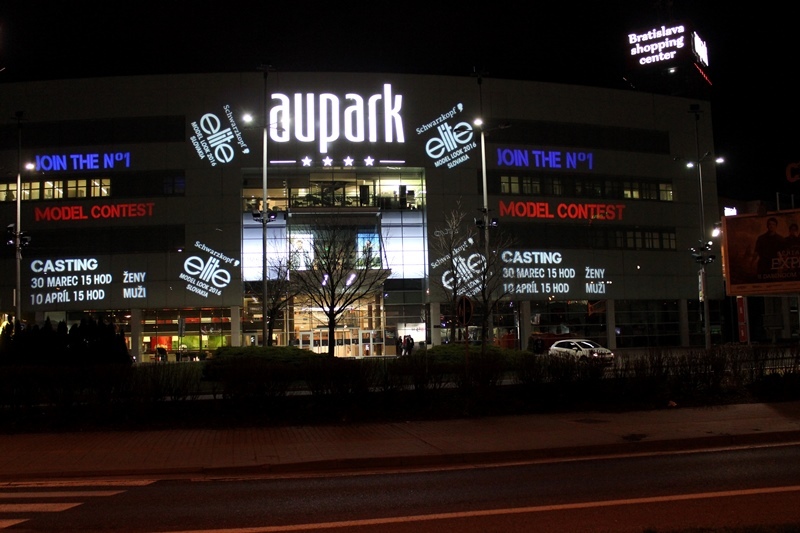 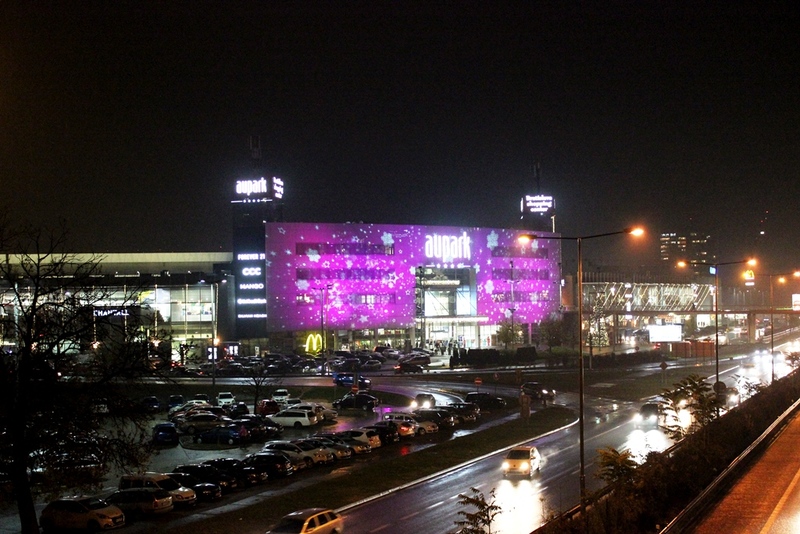 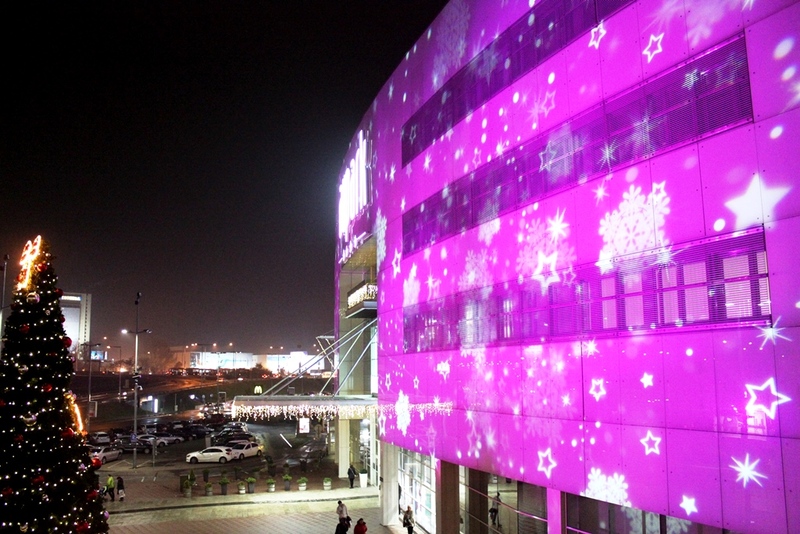 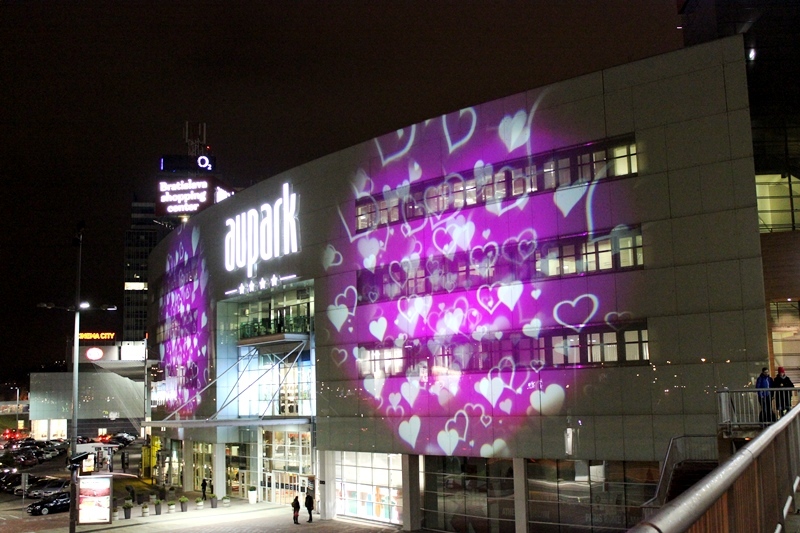 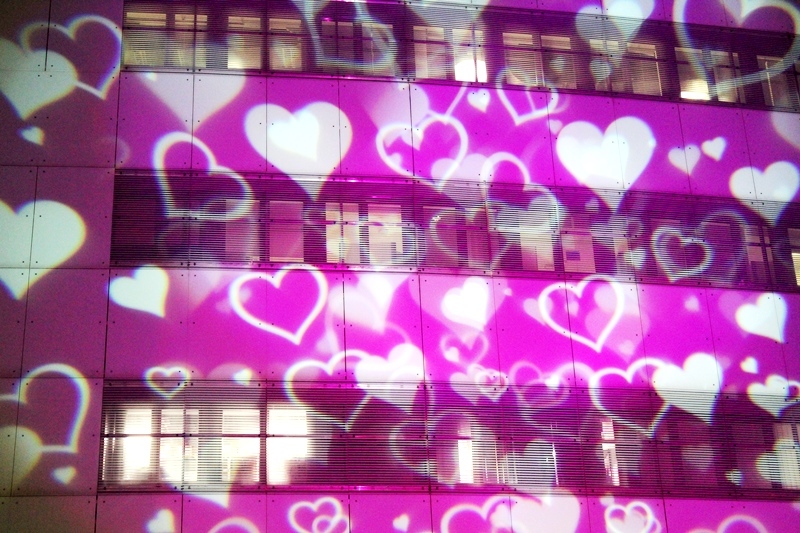 During the Valentine's day flying hearts on the building facade greeted the visitors of the AUPARK shopping center. 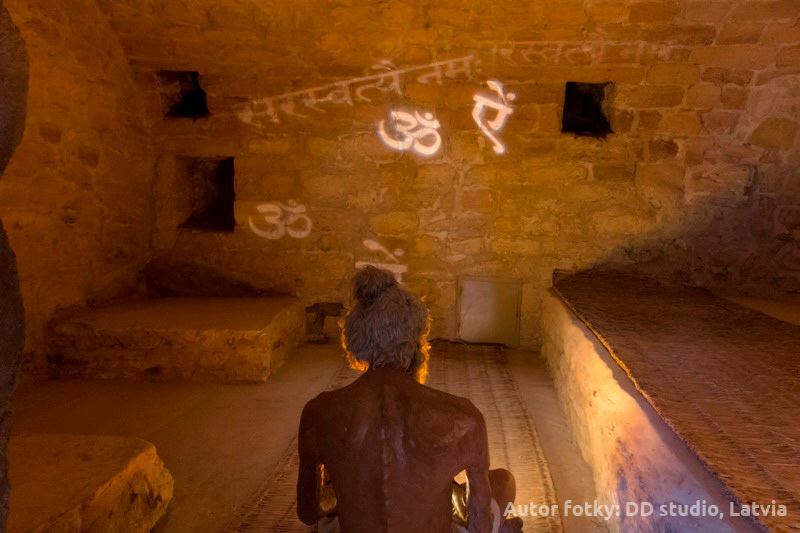 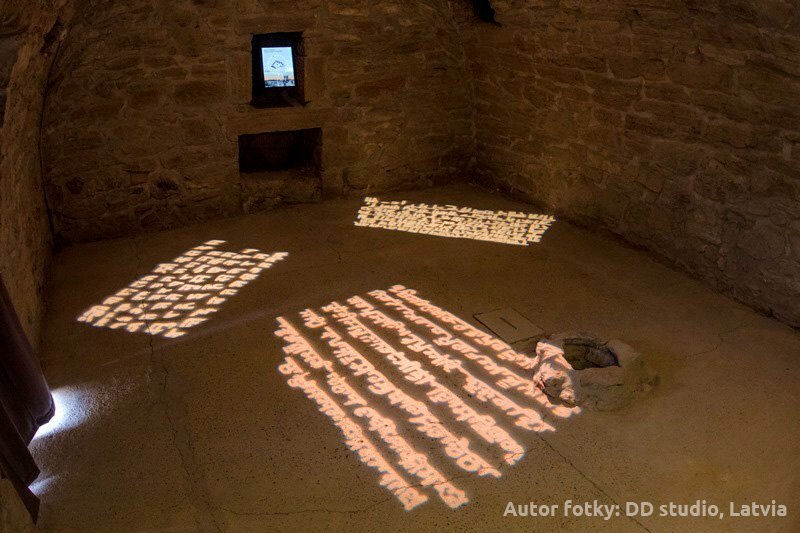 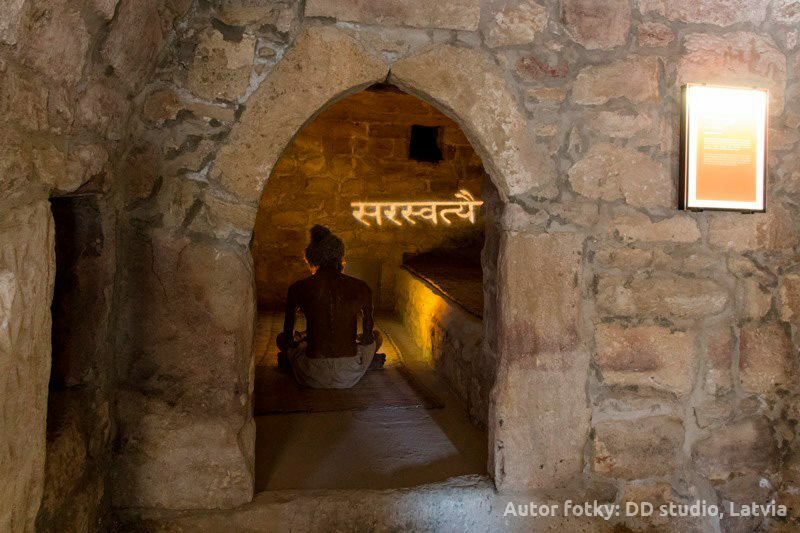 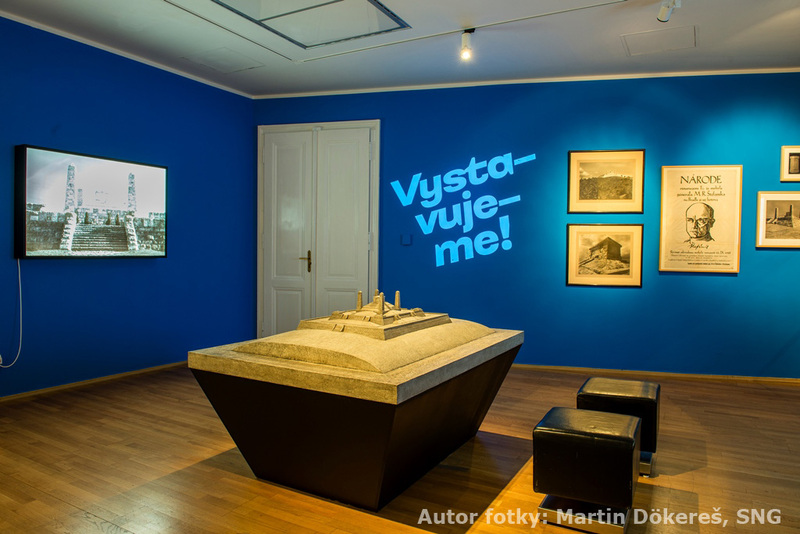 For our partner, DD studio in Latvia we have delivered DERKSEN projectors that are used in the permanent exposition of the museum Atashgah temple in Baku, Azerbaijan.